Only one week left and I head back home. Although I do miss Manila, I don’t like saying goodbye to my siblings and my adorable nephews and nieces. I always wish we didn’t have to live oceans apart from each other. I’ve been going back and forth my brother and sister’s house. Now i’m with the sister and when we’re not searching the outlets for great bargains, and when she’s not busy being supermom, we’re in the kitchen baking or cooking, as if making up for lost sister time. I’ve mentioned before that my sister has a lot to do with my ability to cook. I often watched her in the kitchen and most especially, ate most of what she made. Now that I know my way around the kitchen as well, it’s nice to do some tandem cooking. 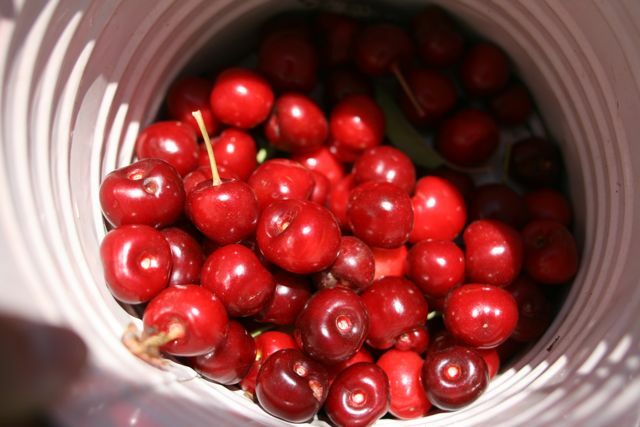 The other day, we visited a cherry orchard and harvested this summer fruit with the kids. 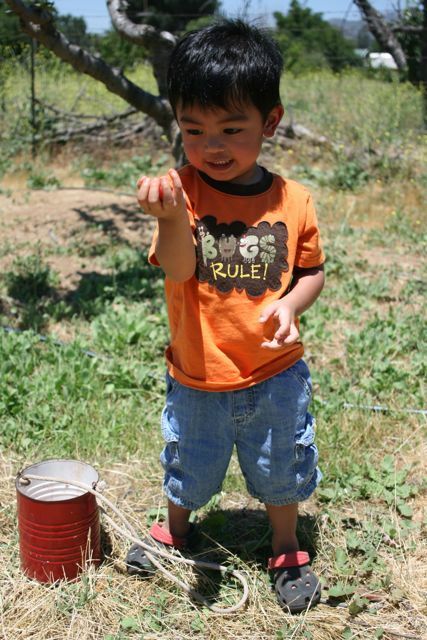 We had a wonderful time climbing trees and ladders, trying to pick the sweetest cherries possible. We harvested so much that we had more than enough for our first cherry pie attempt. 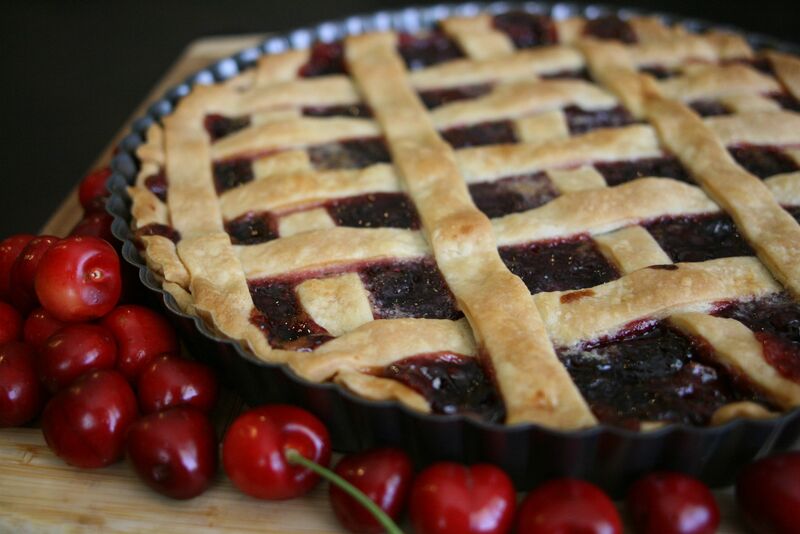 Making a cherry pie was surprisingly simple. All you really need is some sugar and cornstarch and store bought pie crust that just make things a lot easier and delicious. I am happy to report that our first cherry pie attempt was a success! 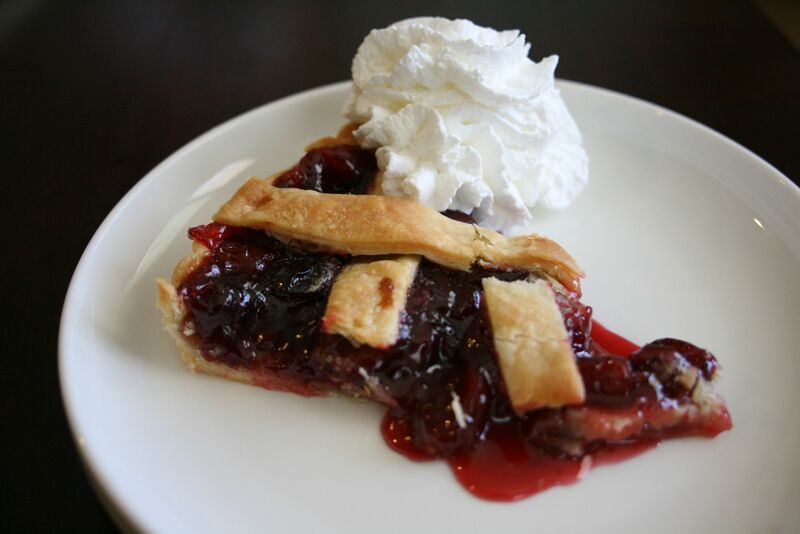 The cherry pie filling was nicely tart and sweet with the right gooey consistency. My sister thinks that it could use a little less sugar and she’s probably right. Next time, instead of using 1 1/2 cups sugar, I’ll probably settle for just 1 cup. That large slice of pie is sitting happily in my stomach and I’m trying to figure out how long I’ll have to run today to burn off all that sugar. Here’s a quick post to end my hiatus. Am on vacation visiting my siblings and now have all the time to write and blog, so no more excuses. For now, here’s a recipe that my sister and I tried out this afternoon. We chose the recipe from a cookbook that I sent her on her birthday. 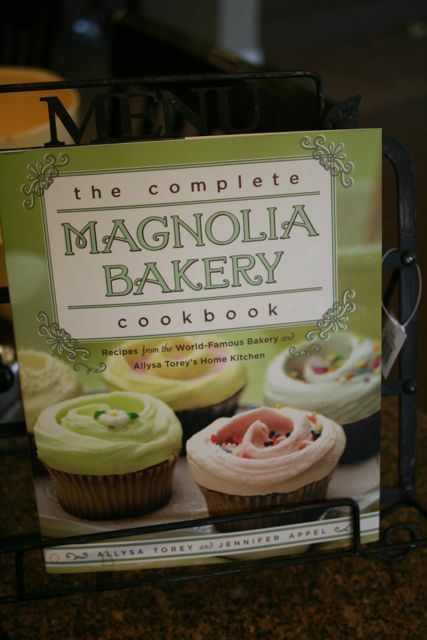 Although I’ve never tried the famous Magnolia cupcakes, I’ve heard only good things about them and figured that this cookbook would be a good one to have. 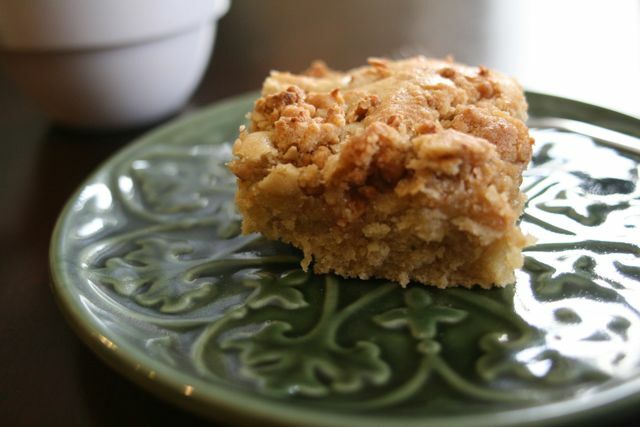 We wanted to make something quick and simple so we chose the recipe for a coffee cake. 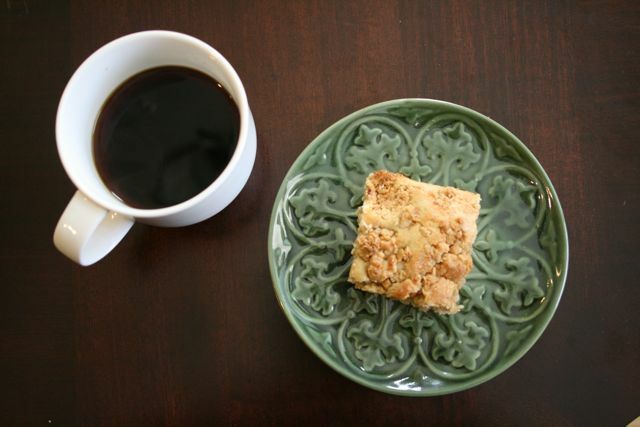 Coffee cakes don’t need to contain coffee, but are meant to be served with the caffeine-filled drink. The recipe we found called for a poppy seed filling but since we didn’t have any poppy seeds, we altered the recipe. Instead of a plain flavored cake, we added some coffee to it. Coffee flavored coffee cake? Why not? The cake was very dense and had a nice subtle coffee flavor, making it like a mocha chiffon cake. One thing my sister and I both noticed was that even after baking the cake for it’s required time, there was a raw flour taste to it. We couldn’t quite figure out why this was and thought that maybe the recipe could have used half a teaspoon of baking soda to make the cake rise more. Other than that, this cake was slightly addicting and could easily be tomorrow’s breakfast. NOTE: It is best to separate the eggs when cold and then allow them to come to room temperature before proceeding with this recipe. Line an 8 x 8 x 2-inch squared pan with waxed paper. 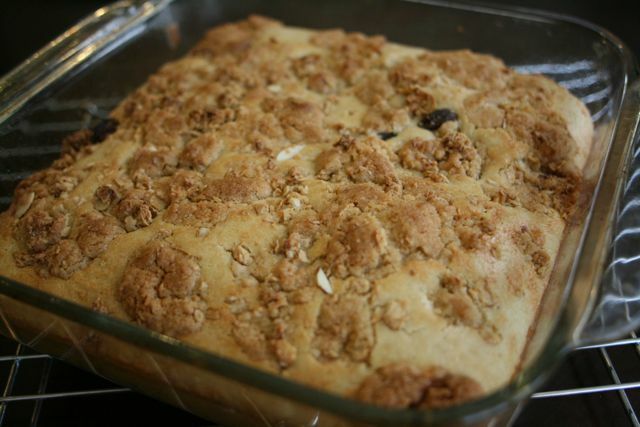 To prepare the coffee cake: In a medium-size bowl, sift together the flour, baking powder and salt. Set aside. In a small bowl, lightly beat the egg yolks, about 1 minute. In a large bowl, on the low speed of an electric mixer, cream the shortening and the sugar until fluffy, about 2-3 minutes. Add the egg yolks. Add the dry ingredients in two parts, alternating with the milk. In a separate bowl, on the high speed of an electric mixer, beat the egg whites until stiff peaks form. Gently fold the egg whites into the batter. Batter will be thick and doughlike. 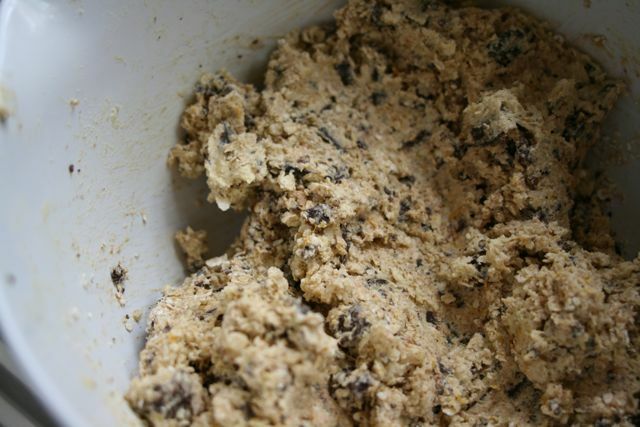 Meanwhile, prepare the topping: In a small bowl, mix together the flour, the brown sugar, and the baking powder. 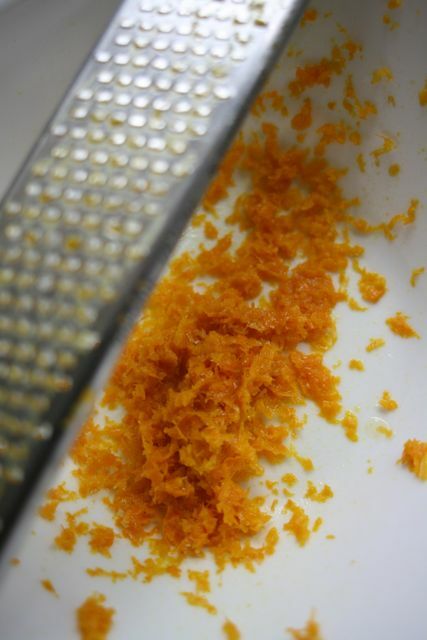 Using a pastry blender, cut in the butter until the mixture resembles coarse crumbs. Pour the batter into prepared pan. 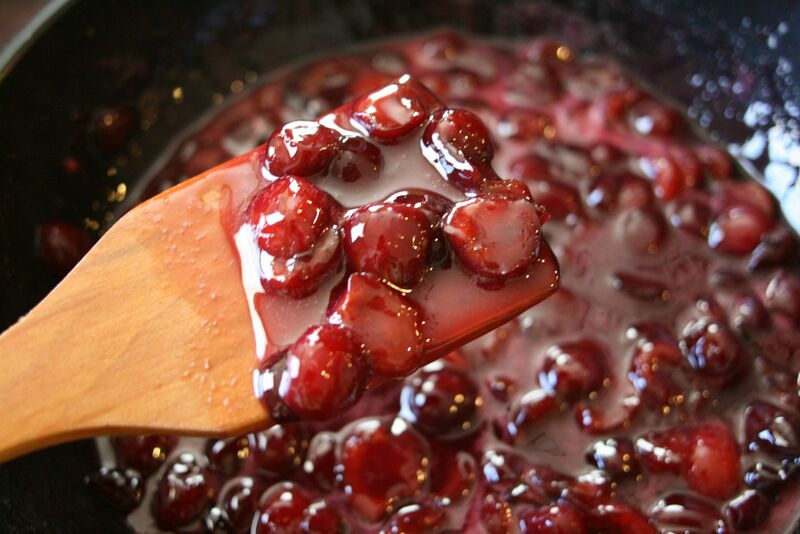 Make indentations with the back of a spoon and press teaspoonfuls of the poppy filling into each indentation. Sprinkle the topping over cake. Bake 40-45 minutes or until cake tester comes out with moist crumbs attached. Do not over bake. Allow to cool for 20 minutes before cutting and serving. It was love at first bite for this pound cake recipe and I. This cake is how I know pound cakes should be – moist, dense, with just the right amount of decadence from the butter. I was out to have a long-term relationship with this one. When I was new to this recipe, I had managed to sabotage it in many inexplicable ways, turning the cake into a rubbery texture or simply burning the cake. Now that I have learned to master the recipe, I’ve become more confident in altering the recipe, thus the idea of a marble cake. 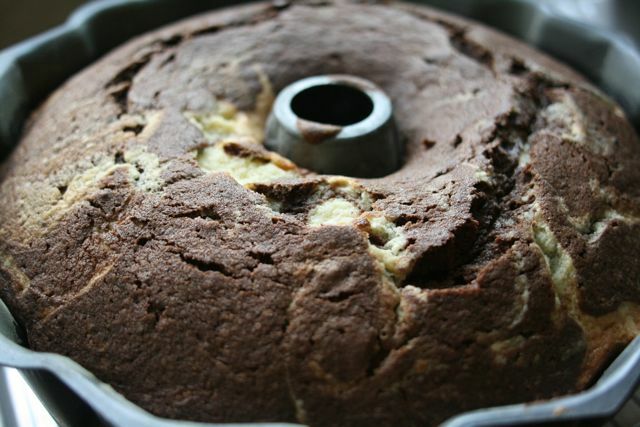 I figured that the recipe for a marble cake couldn’t be that far from a pound cake so I read several recipes online and took my inspiration from this. It seemed like all I needed to do was take about 1/4 of the pound cake batter and add 1/4 of unsweetened cocoa powder to it. It’s that simple. Once I had my chocolate batter, all I needed to do was incorporate it into my pound cake batter, making sure that I wasn’t completely mixing the two. 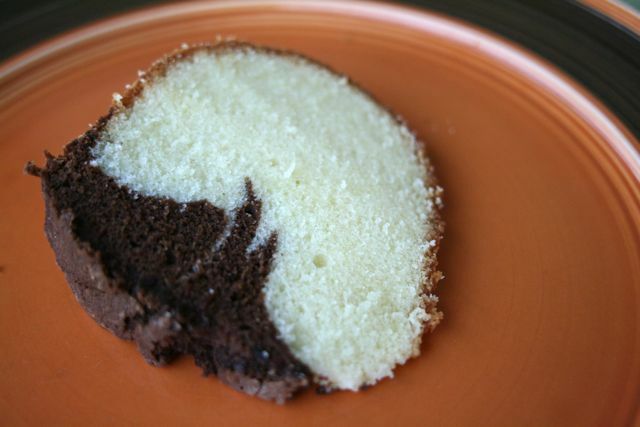 Remember, the goal is to make swirls of chocolate in the cake. I was afraid of over-mixing the batter and only gave it one mix, which was apparently not enough. The result was still a beautiful cake with most of the chocolate on the bottom (no swirls were made). The cocoa powder made the cake even more dense that I would save the chocolate bite for last. 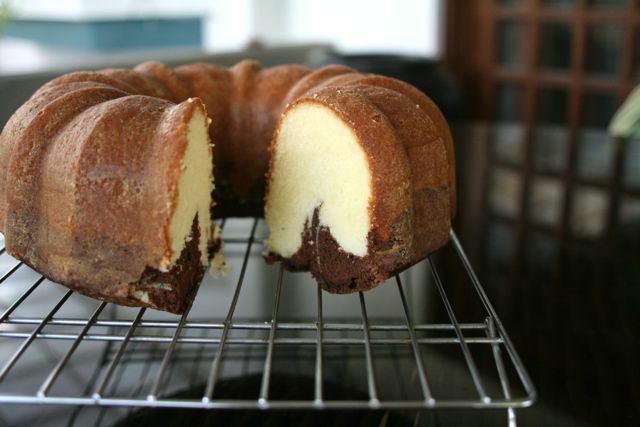 I always use a 10′ bundt pan for this recipe which yields a very large cake. It’s a good thing this cake tastes better as the days go by so you have a good excuse not to eat it all in one day. Time has been going by so quickly. With the 09-10 school year ending soon and my marathon training, down time for me means getting enough sleep, and if i’m lucky, a massage. I’ve been so caught up with all of this that I realized too late that I failed to write an anniversary post! Yes, last March 29, Kitchen Attempts turned one! 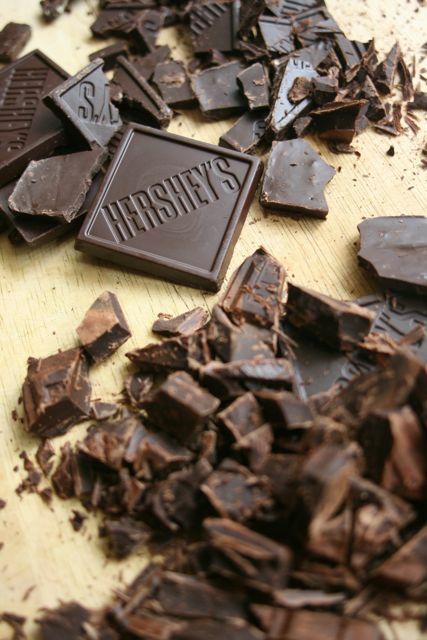 Chocolate Orange – my favorite combination. Fortunately though, I can still find the time to bake. Last week, I was whining at the thought of having to fulfill orders after a long day at work and a 15k run. Who wants to bake orders late at night, right? But I was surprised that once in the kitchen, that I actually didn’t mind it at all. Being in the kitchen was a nice escape and this helped me get my baking groove back. My cousin, Karen Young has been making amazingly wonderful sweets for as long as I can remember. If I remember right, she even made me my high school graduation cake. Nowadays, she is known as the culinary master behind Karen’s Kitchen. 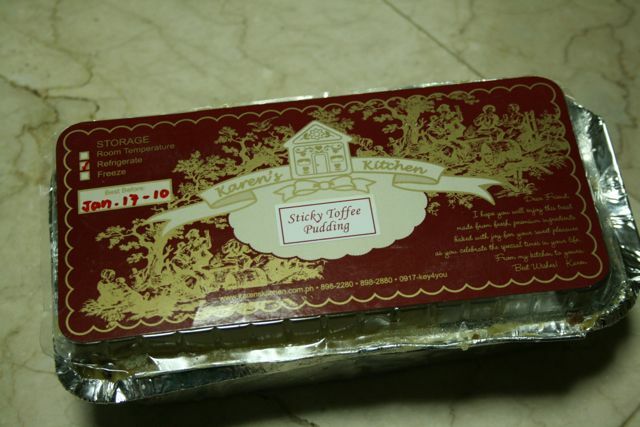 Last Sunday, Ate Karen came over with boxes of sweets for the whole family. I would have been a fool to pass up the chance to try her other wonderful confections. I tried everything, proudly in moderation. But her Sticky Toffee Pudding blew me away and didn’t allow me to have just one serving. A mouth-full turned into a full serving. Sigh. But it was so worth it. I haven’t had anything so moist and perfectly sweet. 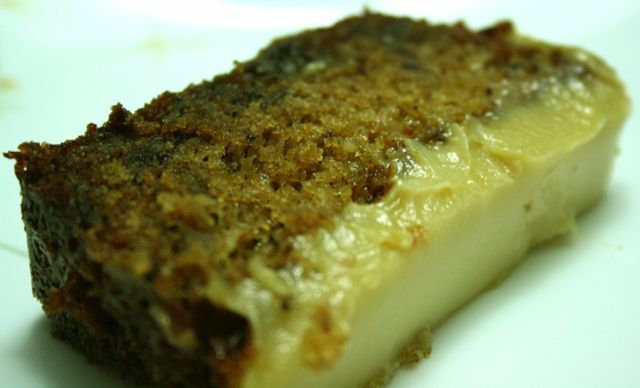 The cake, which has a rich brown sugar flavor almost reminds me of food for the gods. 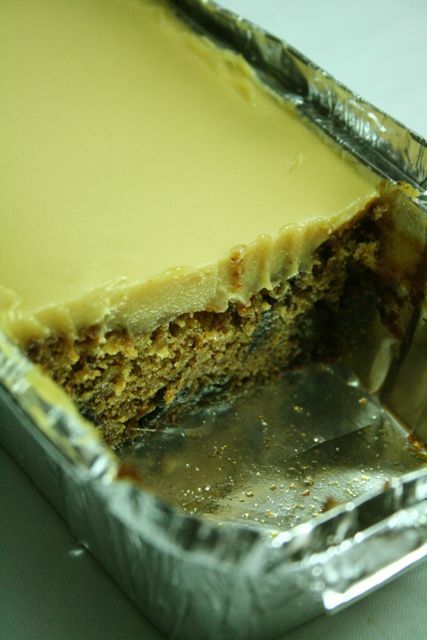 The dates at the bottom of the cake have a tangy taste that give a nice contrast to the richness of the cake. And that toffee topping. Oh, that toffee topping. It’s like fudge, caramel and butter all rolled into one. Simply sinful but totally worth the calories. I checked her site for this product but couldn’t find it and figured that it’s probably new. Hopefully it isn’t only available during the Christmas season. This afternoon, I received a semi-frantic SMS from my co-teaher who I will be making cupcakes for on her wedding day. She needed “stuffers” for her souvenir jars and didn’t know what to put in them. Cupcakes would have been an overkill so I suggested cookies. This was also the perfect opportunity to test drive (or should I say test bake?) 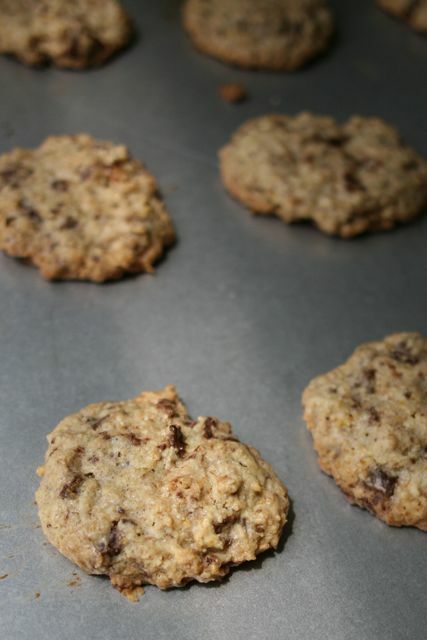 a cookie recipe I had found on this food blog, Bakeaholic. A bit of yellow sprinkles to match mt friend's wedding motif. Perhaps yellow M&Ms will look prettier? As the name suggests, these flatsos are flat cookies that are a little crunchy on the outside and perfectly chewy on the inside. Very hard to resist. I really liked the hint of saltiness in these cookies but my mom (who is my biggest food critic) thought that the recipe could have used a little less of it. To each his own, I suppose. We’ll see tomorrow if these cookies pass my friend’s standards, but whether or not they make an appearance at that wedding, they will certainly become a staple in our kitchen.